Few architects honor the past and envision the future as clearly as John Vinci, FAIA, who will be honored with the AIA Chicago Lifetime Achievement Award at Designight on Friday, October 24. The 59th annual awards night will also honor the year’s best in Chicago architecture and the worldwide work of Chicago-area firms. Last year, 35 awards across four categories were presented at an event attended by nearly 1,000 people at the Grand Ballroom at Navy Pier. Vinci, 77, has been practicing architecture since he graduated from Illinois Institute of Technology (IIT) in 1960. A collaborator with famed architectural photographer Richard Nickel, Vinci is known for his staunch, outspoken defense of classic Chicago architecture over the past 50 years. From his initial preservation work as a student - organizing an IIT exhibition on the work of Adler & Sullivan or salvaging ornamentation from the then soon to be demolished Garrick Theater - he has played an integral part in the preservation and restoration of works from architects as varied as Frank Lloyd Wright to modernists Ed Barnes, Ludwig Mies van der Rohe and Eero Saarinen. Among his numerous restoration projects, Vinci was instrumental in the salvation and reconstruction of Louis Sullivan’s Chicago Stock Exchange Trading Room. Equally adept at developing a vision for new spaces, Vinci is well known for his art exhibit installations at The Art Institute of Chicago and other museums and galleries. Vinci’s architectural portfolio includes the National Italian American Sports Hall of Fame, the Arts Club of Chicago and numerous award-winning residences. Vinci, who began his career at Skidmore, Owings and Merrill, and worked in the offices of architect Crombie Taylor and firm Brenner Danforth Rockwell, has led Vinci|Hamp Architects, Inc. since 1995, along with Philip Hamp, FAIA. He has served as a professor at Roosevelt University and IIT, published numerous articles on architectural issues and maintains an active role in Chicago’s visual arts community. 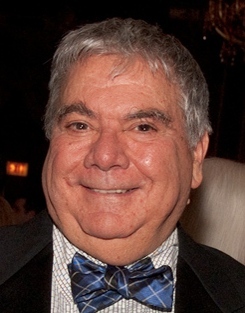 Vinci was elected to the AIA College of Fellows in 1990. Last year’s winner of the AIA Chicago Lifetime Achievement Award was Stanley Tigerman of Tigerman McCurry Architects. Past winners include Helmut Jahn, Ben Weese, Walter Netsch, John Holabird Jr., Gertude Kerbis, Natalie de Blois, and jointly, Daniel Burnham and Edward Bennett. Vinci will receive the Lifetime Achievement award Friday, October 24 at Designight, which will be held at the Grand Ballroom at Navy Pier. Vinci working on the Auditorium Theatre, Chicago. Photo by Richard Nickel, courtesy of the Richard Nickel Foundation.